Taking a page from the ninja playbook, researchers at the CSIRO Autonomous Systems Laboratory in Brisbane, Australia have developed a robot that's able to listen for noises and use the distraction to mask the sound of its own movements as it creeps up on a target. 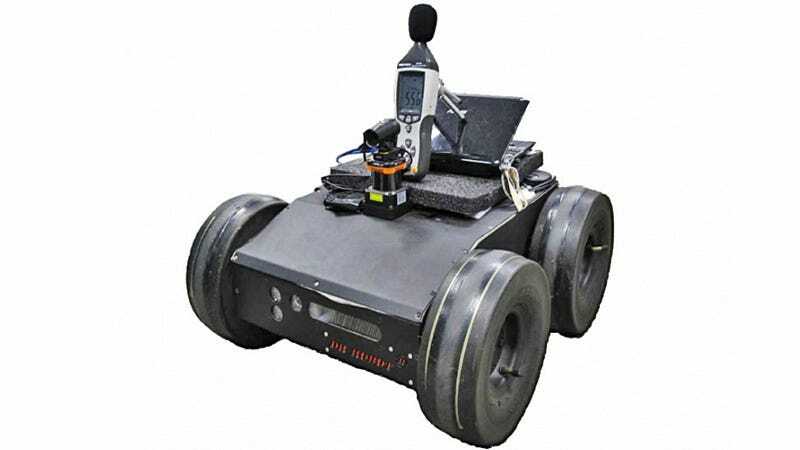 Using a sensitive on-board microphone, the unnamed bot can not only listen for sounds that will serve as a distraction, but also determine how long they're likely to persist so it can calculate how far it can discreetly travel. The chirp of a bird might only last a mere second, but an oncoming vehicle provides plenty of time to maneuver to a new hiding spot.